A nurse can face emotional and physical demands as part of their everyday job. While you have mastered the ability to attend to others’ needs, we understand that it can be harder to attend to your own! 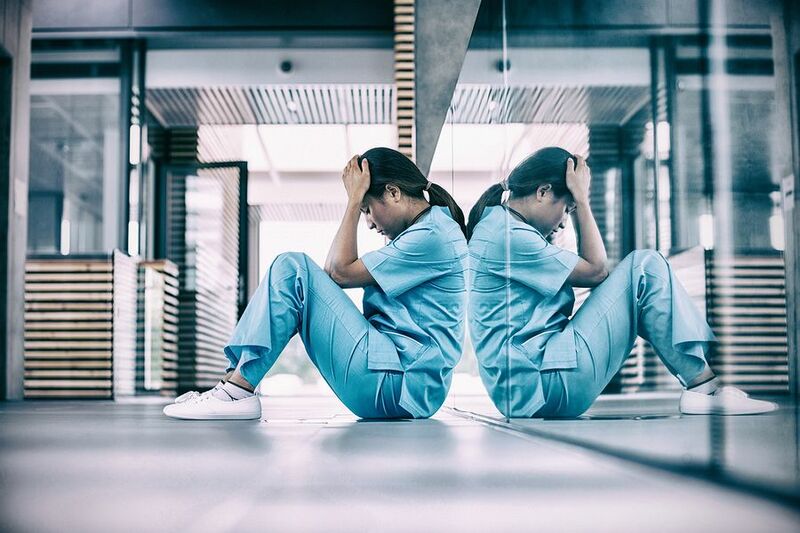 There’s a common perception among the community that nurses are tough, capable and efficient and while this perception is pretty accurate, it’s not always the case and even they can crack under pressure. It’s important for nurses to continually evaluate their mental health and state of mind, not only so you can continue being proficient at work, but so you can enjoy a healthy and happy life outside of work! Stress is one of those thing that means something different for every individual. We all have unique things that triggers stress for us and we all respond in different ways. Stress is typically defined as mental pressure or strain caused by difficult and demanding circumstances. Circumstances like a personal tragedy or professional setback would be typical of a situation that would bring on stress. A small amount of stress can actually be a good thing. It might help us be more productive in our tasks and feel positive about our work when we achieve goals. It’s when that stress mounts up, however, when it can be a real problem, and a detriment to our work and our lives. We don’t just feel stress in extraordinary circumstances; often we suffer from stress because we’ve neglected to deal with it when it was manageable. How can busy nurses manage stress? There’s been remarkable improvement and OHS legislation done in recent years around the study of stress and identifying the health and safety risks in the workplace associated with stress. Negative thinking is a state of mind that is so easy to slip into, but can be really counterintuitive to our emotional state and unnecessarily increase our stress levels. Negative thought patterns can often be automatic, but with a little bit of reflection and positivity we can redirect our thought pattern, and thus decrease stress. If you find yourself obsessing over those negative thought processes, put some time aside to write down what you’re thinking. Seeing it written can help you analyse thought patterns more critically and see the irrationality more clearly. Make a concerted effort to focus on the positive angle of the situation. That effort will pay off in the long run, helping you to feel more in control of your emotions. Sometimes stress can overwhelm us to the point where the positive perspective might seem impossible to see. Another great manager of stress is relaxation, which with practice can become really easy. Simple exercises like deep, slow breathing can dramatically reduce your stress levels. It’s always helpful when dealing with stress to seek fresh different perspectives rather than internalising your own thoughts. Sharing your worries with a trusted family member or friend can go a long way relieving any pent up anxiety. Stress isn’t something anyone should suffer through in silence or simply have to put up with. If you’re feeling overwhelmed, remember to speak out and be honest with yourself about your capabilities and limitations. And remember to regularly encourage yourself too – it can make a world of difference! SwingShift Nurses in a nursing agency in Melbourne dedicated to the well-being of all our nurses. We provide our nurses with the same level of care they provide their patients each and every day! Are you a nurse looking for flexible shifts and excellent pay? Join the SwingShift Nurses family today.